Summer Wednesdays are the best! Our team of bloggers is sending you great projects to do alongside yo ur children this summer. 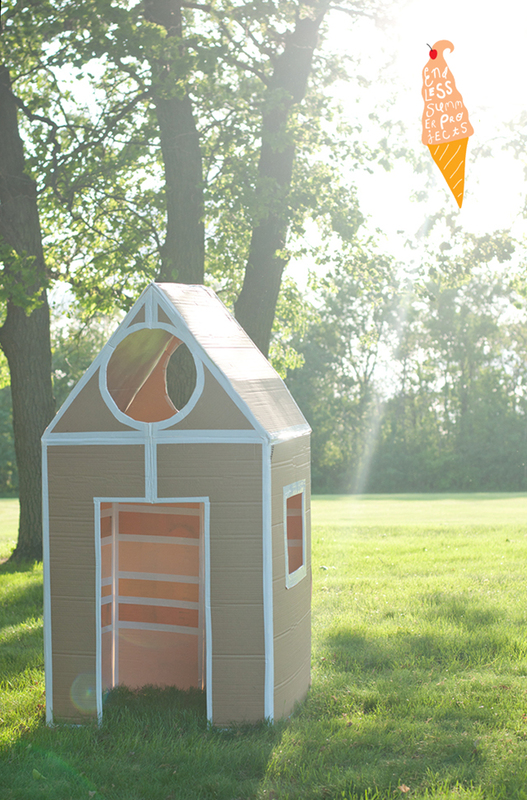 This week Amy has an amazing collapsible playhouse to share. How perfect is that? Kids can create and play, and parents can have the freedom to collapse the house when it needs to be stored away! I can imagine my children loving to decorate and get inside this creation. Also, I love Amy's unique design and special attention to the interior space. The house looks like a little jewel box. Save your refrigerator and moving boxes for this project! We'd love to see your creations. 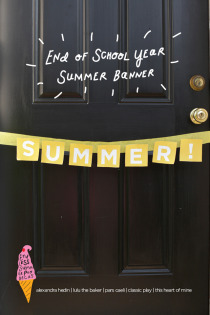 Jen made a free printable banner for the last day of school! 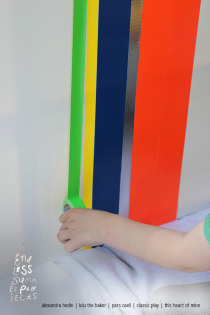 We created abstract art with tape. 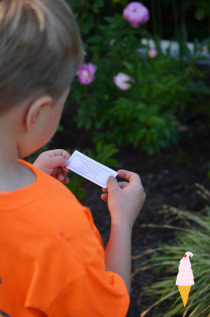 And Alexandra crafted a scavenger hunt that is ready to go. School ends on Friday here, and we're excited to dig in to even more Endless Summer Projects! Have you made your summer bucket list yet?